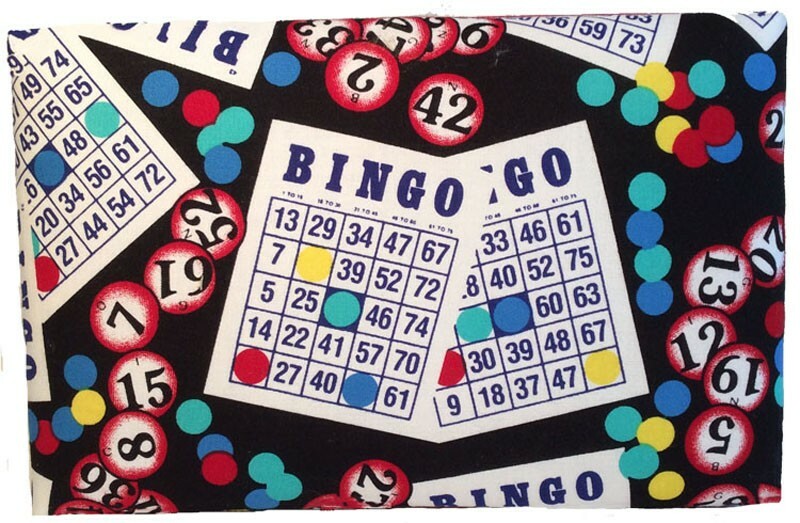 Everything you need for Bingo Bonanza is on this fabric - cards, chips, and call numbers. A great place to store your markers until the game begins. Trimmed with red ribbon. Inside, you'll find more bingo decals. Terrific gift box for the dedicated Bingo player. Comes in one size only - 8" x 5" x 2". Perfect gift box for any Bingo player - new to the game or a Friday night regular. 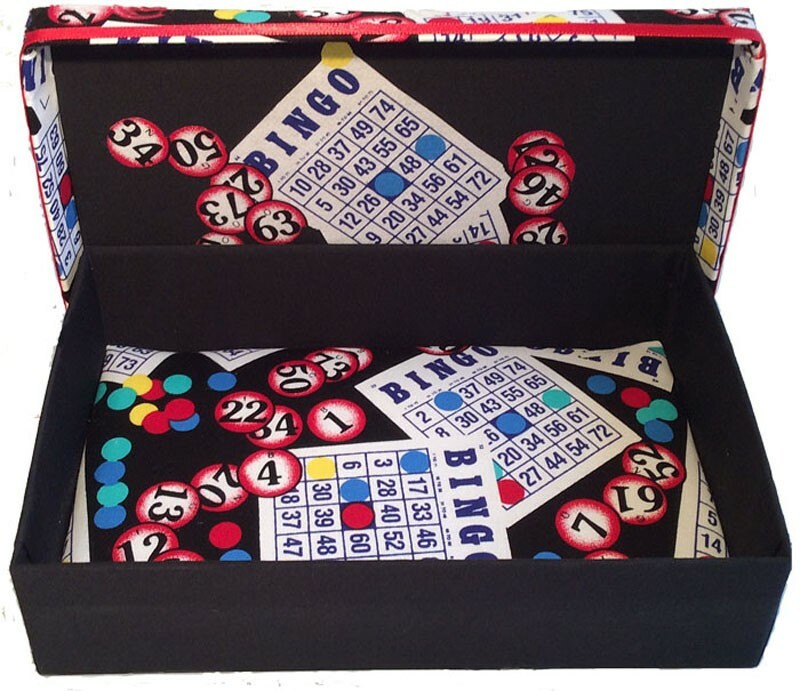 Bring your special markers and winning cards in this box and you'll be the talk of the Bingo table! Certain to bring you luck and winnings!